No Internet user is immune to computer hacking and data theft. Some hackers have the ability to intrude on the computer of a third party after identifying the IP address of the latter. To prevent these types of incidents, it may be necessary to use a VPN. What are the advantages and disadvantages of this system? 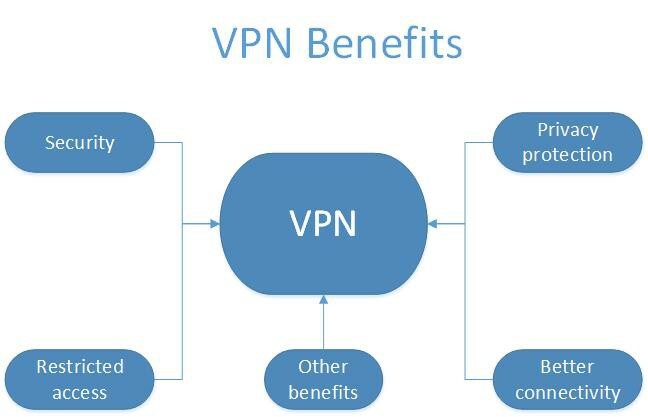 · The VPN or Virtual Private Network is a system consisting of the use of a server offered by a VPN provider to connect to the Internet. The data that goes to and from the user’s computer is encrypted. · This encrypted data prevents effective tracking of a user’s browsing history. This mode of security is made possible by the use of VPN protocols like L2TP, PPTP but also L2F, SSL / TLS, Cisco. · The VPN is generally used for optimal navigation security. In this way, the user will not have to fear hackers and malicious people wanting to access his computer to view and steal data. · The VPN is also used to access sites that are censored in a given geographic space and not in others. · When an employer or school blocks sites for one reason or another so that member users cannot access them, it is possible to bypass the censors by using a VPN. · The VPN is still used to hide its browsing habits from its Internet Service Provider and the government. · These are the main reasons why Internet users, professionals and individuals, use a VPN system. · These are already advantages for the use of this service but there are others that some will not even be able to suspect. In addition to circumventing geographical censorship, limiting access to browsing history to ISPs and government, securing data, VPN provides other benefits to satisfy users. The VPN is a tool that allows access to a remote network in total security. It is at this level that the notion of “tunnel” refers to the possibility of linking all the computers connected to the VPN on a virtual local area network. Even if the individual is, for example, miles away from his office, he has the ability to access company data and quietly perform his duties. Although it is necessary to mention this advantage, the private enterprise network is not really the subject of this article. Instead, we are talking about commercial VPNs. That is to say a computer service able to interest individuals as well as professionals. The inability of the ISP to access the user’s navigation data goes beyond a simple impossibility of consulting its browsing history. When the user uses a VPN system, his Internet traffic is recorded in a VPN server using an encrypted connection method. Because of this encryption, your actual IP address is hidden. If you are in France but your VPN provider is in another country, then your visible IP will be that of the country of your VPN provider and not that of your ISP. As your ISP, the websites you visit will not be able to identify your true IP. With a VPN with a secure Wi-Fi connection, you’ll be totally immune to hacker attacks, however shrewd and smart they may be. Even if the hacker gets to fool you and forcing you to connect to an “evil twin” network, he will not be able to steal data from you since they are fully encrypted. With a VPN, you can download various data on the web, even movies, videos and songs. This ensures that you are protected from all possible lawsuits related to copyright infringement. VPN allows you to hide your IP address, your habit of browsing and access to sites with geographical censures on a laptop or a connected mobile such as a Smartphone or a touch pad. This security is optimal on iOS and Android platforms. For others, flaws are noted, especially when it comes to making Pair to Pair download or downloading data protected by copyright. Prudence is essential at this level! In most countries, VPN is a legal service. It should be remembered, however, that in the majority of European Union countries, VPN providers are required by their respective governments to retain users’ browsing history over a year. This period of retention of the browsing history is 6 months in the Netherlands. What are the limitations of VPN? Note that VPN is not a flawless system. There are a few limitations so that each user can use this kind of computer system wisely and sparingly. By using a VPN, the user cannot be 100% sure that he is anonymous. Indeed, its VPN provider has the ability to view all browsing history via its server. It is for this reason that it is necessary to collaborate with a VPN provider which limits to the strict minimum the access to the information relating to the user and the data that consults to him. With a VPN service, the speed of the connection can be reduced. This slowness is due to the need for encryption for the securing of data but also to the distance between the user and his VPN provider. The longer the VPN provider is away from the user’s country of residence, the slower the connection. It is therefore essential to compare the speed promised by each VPN provider before making a choice. As mentioned earlier, VPNs do not provide data security for smartphone and touchscreen mobile devices, especially when the user begins to use applications and blinds. You should be careful to choose only one VPN provider that provides cross-platform support for mobile devices. In this way, confidentiality and saves. When VPN servers are limited, it becomes difficult to access online information globally. Even if the user tries, the slow connection will cause trouble and dissatisfaction. It is then necessary to collaborate only with a VPN provider with many platforms for customer satisfaction. When a VPN provider lacks experience, there may be data leaks that may affect the privacy of the user. The solution is to collaborate only with a recognized VPN provider for the quality of services. A consultation of opinions of web users on the web and a comparison of VPN providers may be essential before subscribing a subscription.